The Hidden Face of Surrogacy. 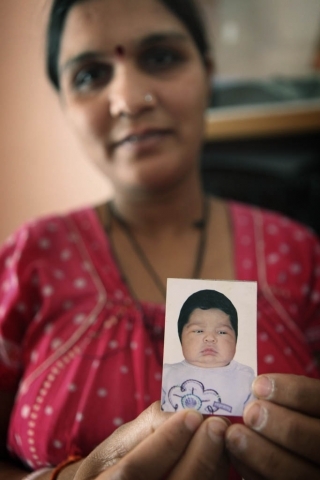 Portraits of Indian surrogate mothers. Surrogacy is an arrangement in which a woman carries and delivers a child for another couple or person. For some couples, it is the only option they have. They may be infertile, gay or have physical or medical conditions which do not allow natural childbirth. Sometimes it’s to avoid the precariousness of childbearing at an advanced age, and yes, for some, it’s simply a case of “convenience”. Only unpaid, “altruistic” surrogacy is legal in most western countries. 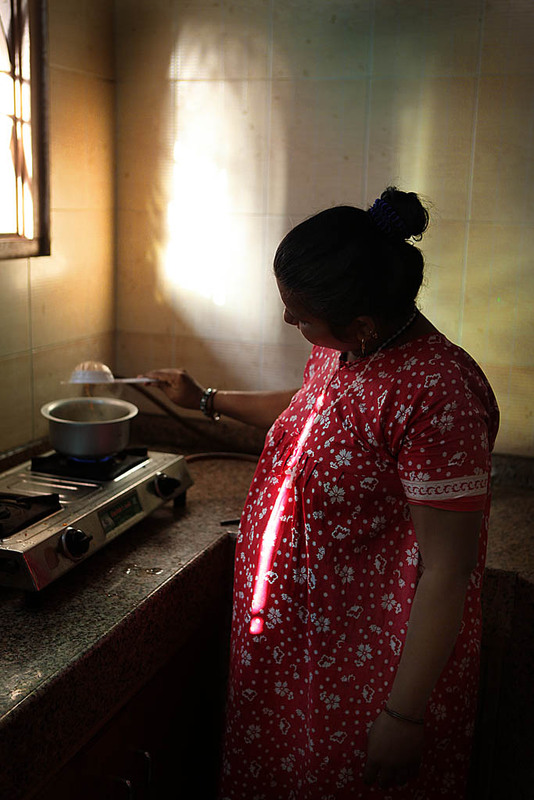 In many places commercial surrogacy is even punishable by law. Many people think that these legal issues are often an outdated expression of local morality. These moral codes, not money, are often the main reason for seeking a solution halfway across the world. Commercial surrogacy is fully legal in only a few countries like India. As well as being relatively affordable by western standards, in these countries genetic parents have indisputable legal rights to the child. Often for these couples it is a precarious step into uncharted territory. For the Indian women being paid to bear these children, there are different concerns. Even stricter moral issues are at play, regardless of the fact that clinics specializing in surrogacy are springing up all over India. The stigma attached to these women puts them in danger of prejudicial treatment from their own communities. Most of the bearers cannot reveal their surrogacy to neighbours, and often, not even to their own children: they usually say they are working abroad or have gone to visit relatives. The clinic I found in the small town of Anand is, to my knowledge, unique. Most surrogate mothers have little contact with their doctors and are responsible for their own food and lodging. For Dr. Nayna Patel, the owner, this was simply not enough. 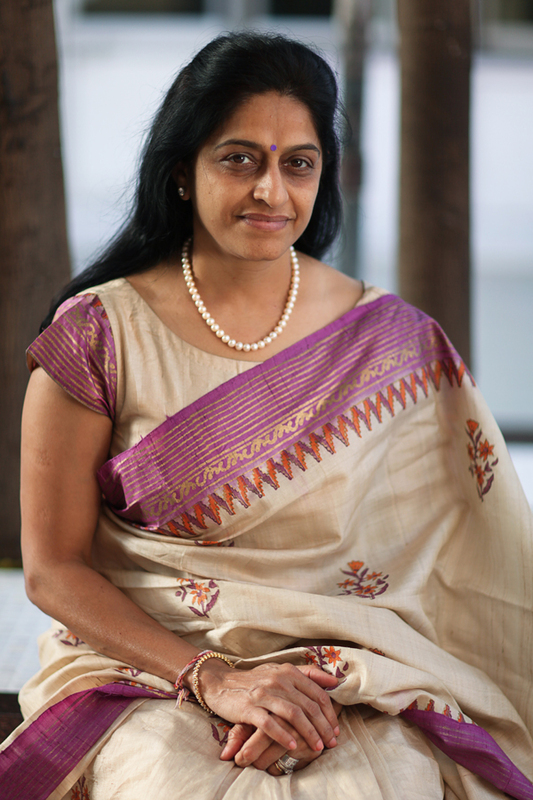 When she opened her clinic in Anand she was trying to solve several problems that face surrogate mothers and ensure the proper logistics necessary to bring a healthy pregnancy to term. Dr.Patel chose to house them decently, provide good nutrition, and ensure that they were not doing physical work that could endanger the pregnancy or the women. She eventually found a building close to her clinic which now houses around 80 women. In this group home they feel safe and secure. For these women living a clandestine life for nine months, it made matters simple and straightforward. She hopes to find a new facility that would include the clinic and the surrogate mothers, as well as provide accommodation for the genetic parents coming for their child. The questions I kept asking myself are: Are there any women in western countries who would do this? Are we too proud to think of this as a “job”, that could be done in a parent own neighbourhood? What are the real reasons that make commercial surrogacy illegal in most western countries? Indian doctors who perform embryo transfers are often accused of exploiting women, of marketing their wombs to affluent western couples. Some say that the surrogate mothers are forced by family members against their will or that these women are lazy. Dr Patel says: “If you cannot get pregnant the natural way, why can’t women help each other? There are women ready to carry someone else’s child and at the same time financially change their lives. As for ‘coercion’, it is hardly possible for a woman to spend nine months of an unwanted pregnancy in a home where so many conditions and procedures must be respected to ensure success. I spent several weeks living with the women at Dr. Patel’s group home, spoke extensively with many of them, and found none of these accusations to be true. It is not an easy job, as there are medical tests that they must pass, they must already have successfully given birth, and there is the possibility that the first and even second embryo transfer will not be successful. Perhaps the parents want to choose the surrogate mother for reasons as varied as religion or looks. These women are not coerced, but happy and enthusiastic about what the huge change their fee will do for their lives. It is as big a step for the surrogate mothers as it is for the genetic parents. Having experienced the joy of motherhood myself, I could hardly imagine putting a price on the final separation of a mother from her newborn child. All of these women have families and responsibilities that await them. Even if husbands and relatives are taking care of their own children, the hardship of separation from family and home is an additional source of emotional stress. They know that the ‘contract’ is for a child, not the time spent in the surrogate home. Sometimes the clients or the clinic will pay a portion for a late miscarriage, sometimes not. Some parents want a cesarean birth, which is safer for the baby. 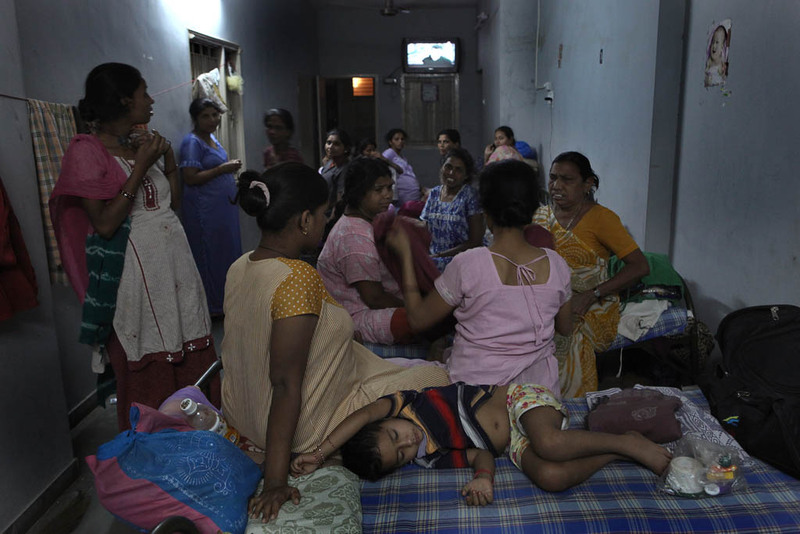 Many of these women have never even been to a hospital. To them, the idea of anesthesia and surgical blades is horrifying. With all of the dangers, stress and insecurity involved one might ask: Why would someone accept to do this for a mere six to seven thousand dollars? The answer is simple: in India, this is the amount of money that will pay for a home, a new standard of living, or an education for their children. 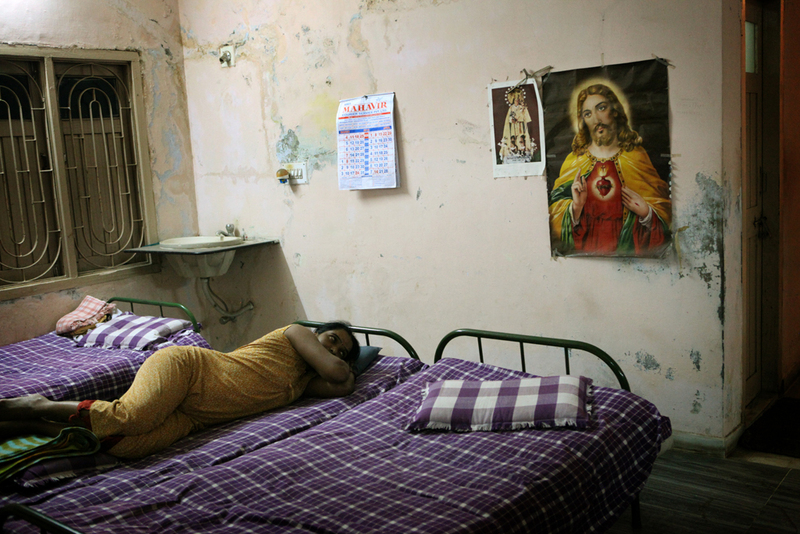 The Patel home for mothers consists of a pair of duplexes; each floor has four rooms that house five to ten women each. Space is scarce, personal things are kept in closets, and valuables are kept under the mattress. Each building has one bathroom. The toilet is flushed manually with water from a plastic bucket. Hot water is available only in the evenings. Despite the lack of intimacy, the women live peacefully, making the best of it. With their different origins (religious, regional and cultural) it is unlikely that they would have developed friendships and gained further understanding of each others lives if they were not living this common experience. There is a certain solidarity among these women who have decided to brave the many hardships that surrogacy entails. At prayer time, in the mornings and evenings, each religious group patiently awaits its turn. 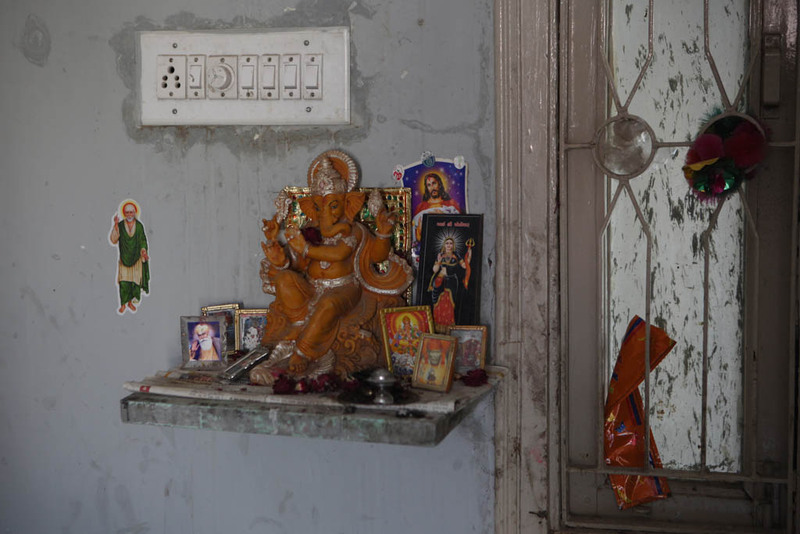 All the major religions share the altars: Hinduism, Islam, Buddhism, Catholicism, Jains (there are no atheists here). It takes great patience to maintain one’s calm with the constant level of noise. They have to learn to sleep despite television, ringing telephones, and loud conversations. Soap operas, usually watched only by those who can afford the time, have star status and are often the main topic of discussion. To limit the the possibility of miscarriage women spend much of their time laying down with their legs and feet propped up. I was touched by the tolerance and acceptance of each other that these women show every day. Although, there are few quarrels, I felt some elements of hazing: old-timers tend to have more rights than newcomers. Husbands and relatives are allowed to visit the house at any time. There are times when a woman will have to share her bed with her own child. Sometimes the doctor will allow those whose pregnancies are not secret to go home for a short visit. A woman who has to lie about her surrogacy, may find herself in a difficult situation if there is an emergency in her family. Surrogacy is not for everyone. The experience is different for each woman. Some would do it again, some never. Despite the fact that the money is the main stimulus for surrogate mothers in India, it is nonetheless an invaluable humanitarian act. We cannot continue to relegate our contradictory moral problems to backdoor solutions anymore. As a society, it is inevitable that we will be forced face these issues. Public ignorance about surrogacy can have nasty effects. If a jurisdiction specifically prohibits paid surrogacy, serious problems can arise. The courts in Quebec, Canada prevented a genetic mother’s legal adoption of her child even though that left the child with no legal mother. Surrogacy challenges our very notion of the giving of life. Our moral and legal concepts are no longer adequate. With the advent of surrogate mothers, a child comes to life not necessarily in the body of its genetic mother. Is adoption the only alternative for infertile couples? If gay marriage is legal and morally condoned by our society, should gay parents be denied a chance at parenthood through surrogacy? Why should the separation of birth mother from child be so drastic? Is this not a wonderful gift to be shared? Wouldn’t sharing be much easier if surrogate mothers lived in the same city? What are we afraid of? Do we want to have children or own them? Rihana is a second time surrogate mother. First time she gave birth to twins whose parents were from Calcutta. She breast-fed them for about a week in the presence of the parents. She is still in touch with them and sometimes when they call she can hear children’s voices in the background. Rihana is able to see their photos at Doctor Patel’s office and imagines they might come to visit her someday. With the money earned she bought a house for her family. Rihana has two children: girl is 16 and boy is 17. They know what she is doing but are not allowed to visit her at the clinic. Her family is Muslim. Rihana is now one month pregnant and the parents, as far as she knows, are from London. This time she is earning for her daughter’s marriage and her son’s education. It was her neighbor who had told her about surrogacy, and it didn’t take Rihana long to make up her mind. Pallyi is 31, she is here for the second time.Two years ago she gave birth to a girl, the parents were from Canada. They gave her a couple chances to play with the new-born girl, but as soon as as the papers were in order they split and Pallyi has not heard from them since. She got compensated three and a half lac rupees and was able to pay all her bills as well as depositing some money to a bank.Now she is on the second month pregnancy again for the local Gudjarat parents. If everything goes fine she will buy a house for her family.Pallyi is Hindu, she has two daughters and they come to visit her sometimes. 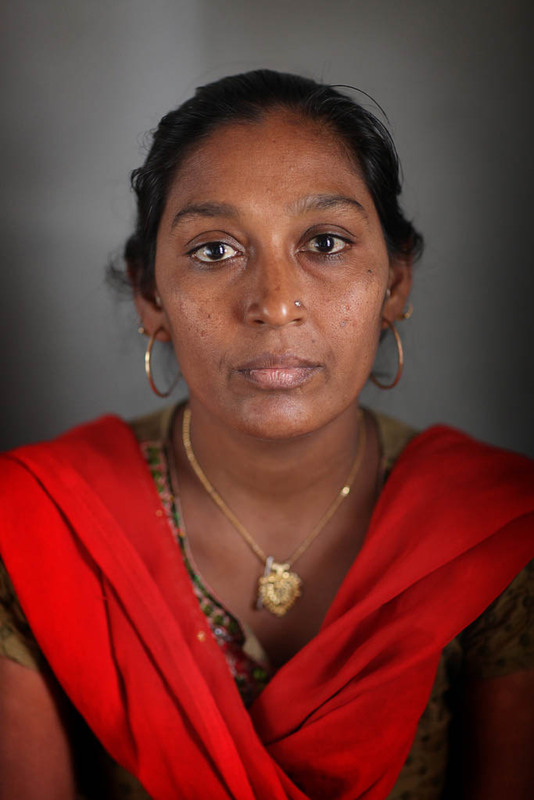 Umravati is 27, and her family are Hindu. She has given birth to three children, but she does not know their actual birthdate. In January 2011, she gave birth to a boy for an American couple – she has no contact with them. That money paid for a new house. NowUmravati is pregnant again and she is planning to save this payment for her daughters’ weddings.She has hidden the fact that she is a surrogate mother from her neighbors and friends. She feels OK about her decision, but is unhappy to be locked up in a surrogate house. 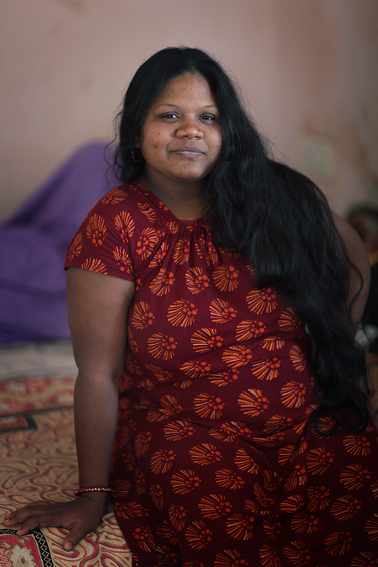 Nazira is 32 years old and this is her first time being a surrogate mother. 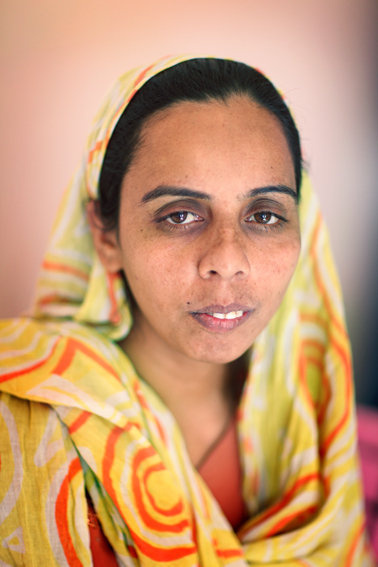 It was Naziraz’s mother who brought her to the surrogate clinic. She has two sons of five and eight.She gave birth to them naturally and she has never had any injections before in her life. This is why she fells nervous whenever she has to give blood for tests or have an injection.She feels that the child inside her is her own and fears it will be difficult to give him away. She was very nervous before but has learned to trust doctors and believe that everything will be fine. Nazira is willing to do everything she possibly can for her family, she will save money for a house and ensure a fair future for her sons.Nazira told her neighbors that she was going to Africa to work as a babysitter for a Christian family. If the truth ever comes out she will turn to mullah for guidance. In the future Nazira might reveal to her children that she has been a surrogate mother, but she will do so only if it will be not possible to keep it secret. She is also considering informing some of her friends in need about surrogacy. Now she is five months pregnant, the parents are from the USA, and she has seen them once. She hopes surrogacy will be good for them and for her. 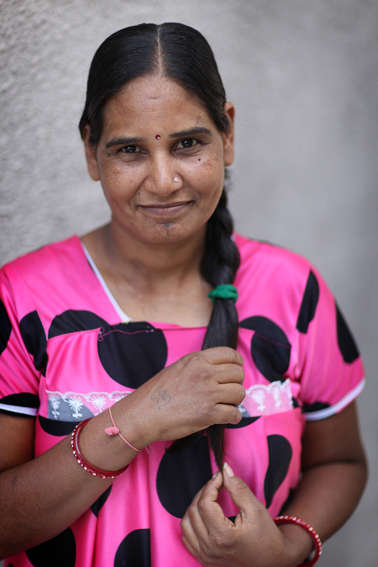 Mutmaz is 35, married and has two children from her first marriage – their father died. Her new husband does not want any more children. They hope that her surrogacy will mean that they can buy a house, even put a little aside for the future.No one in the village knows, not even their closest relatives. She would be banished from the village if they did.Mutmaz pays the parents of her late husband to look after her children. Her husband is a rickshaw driver and he misses her. He comes often to visit. She feels the same way and is uneasy without her children.Mutmaz is one month pregnant from a frozen embryo sent from the US. She has had no contact with the biological parents. Jayesh is 42 years old. 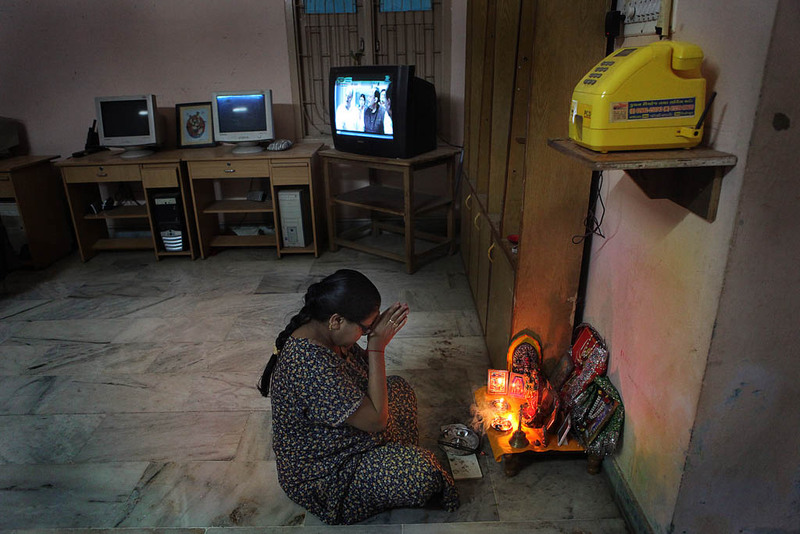 First time she and her husband heard about surrogacy on TV, and then an agent came to their village. They considered his offer for a month and then made the decision. Yes, they do need the money and they wish to buy their own house instead of renting. But aside from the money matters it is very important for them to partake in someone else’s wellbeing. They talked over these matters a lot, and came to conclusion that surrogacy is a good thing.Jayesh is carrying twins for a Japanese family. They came here and wished very much to communicate but the language barrier has turned to be a big problem. Jayesh and her husband are getting ready to part with the newborns but they know it would be difficult. Jayesh would like to breast-feed them but she realizes it would make it even more difficult to give them away.They have decided to keep everything secret because people in their village might accuse them of selling their child. Jayesh and her husband are Hindus and they have one son of their own who is 11. Jaya is 29, and she is a Christian. She became a surrogate through a nurse friend. Now she is four month pregnant and the biological parents are Japanese. She has not met them, though she would like to, and is intrigued by the fact that she will give birth to a Japanese child.She has three children of her own who are being cared for by her mother-in law. She has not kept her surrogacy hidden. Her family, friends and neighbors know where she is, and she is even planning to bring some of her friends to Doctor Patel’s clinic.Jaya is fine living in the surrogate house. With a lot of new friends she hasn’t time to be bored. She plans to spend the money on a major house renovation and save some for her children’s education. 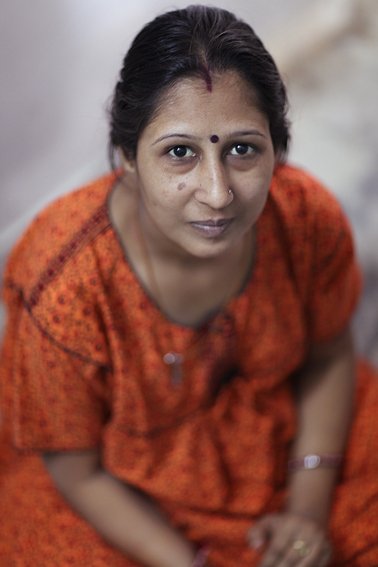 Hansaben, 42, works in Doctor Patel’s clinic as a nurse and she has been a surrogate mother twice already. It took her a year to make this decision. Her husband was very much against it in the beginning but after some time his attitude changed.Hansaben has not lived in the surrogate house as the doctor let her stay home. First time she bore twins in 2007 – a boy and a girl – for the US parents. She breast fed them for a long time, and she felt very good when she surrendered them to the couple for she knew for sure they will be loved there. Hansaben keeps in touch with the couple and receives photos of the children regularly. The second time she gave birth to a Japanese girl whom she breast-fed for a month.She is a Christian, her native son is 18 now. In the beginning she was trying to keep all this secret but eventually the truth came out and she’s had a share of hard times with fellow villagers calling her names and putting her down. Hard feelings have subsided since then. Apna is 28. She heard about surrogacy from a friend and found the idea unbelievable. When she got more information she decided to give it a try.Her husband is a motor-rickshaw driver but he does not own the vehicle. Through surrogacy, she can make enough money to buy one of their own.Apna told everybody that she has gone away to take care of her old wet nurse. While she is gone, her husband care for their 2 small children – it is very difficult for him. 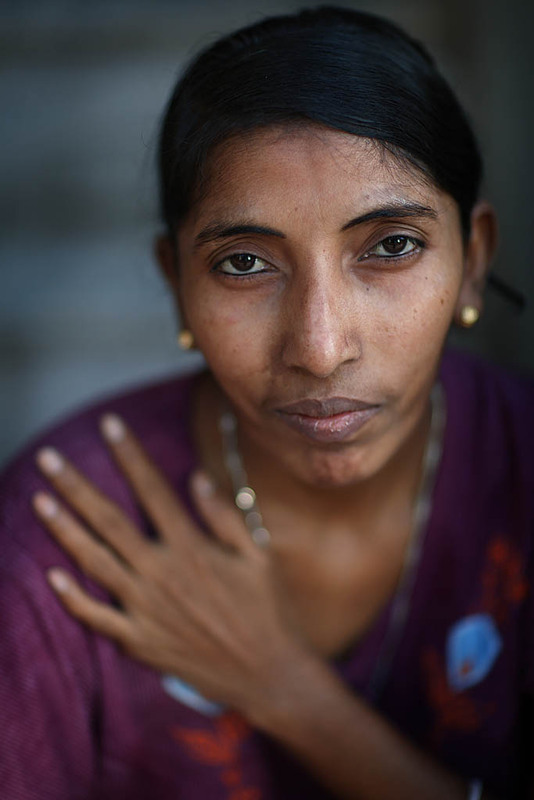 Premila is 34, of the Jane religion, and she has 2 young daughters. While she has been at the surrogate house, she has allowed them to visit her, but soon she will forbid it. There is no way children can keep a secret and if her neighbors find out she is a surrogate mother, she will be not able to return to her village.She is now 3 month pregnant. The parents are from Srinagar, Kashmir and they often call her and worry about her health. There were twins in the beginning, but 15 days ago she lost one of the babies. She grieved when it happened.She would like to stay in contact with this couple after the child is born, and she hopes for news and photos. 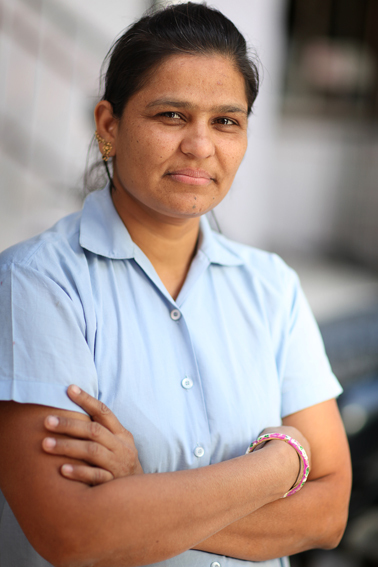 Premila thinks that surrogate mothers should receive more money for the job they do. First time she was a surrogate mother 3 years ago for the couple from Bombay.She Gave birth for a boy, breast feed him 10 days, they they gone and since that time she heard nothing from them, no letters, no phone calls. Now she is again pregnant for the couple from New Zealand. She have seen then only once.She hope to buy a house for her family. Her husband is taking care of 2 children, he have to cook and take them to school. Here in surrogate house Sumitra have a lot of friends, but she misses her family and she don’t like the fact that she could not cook herself and not allowed to walk around.Sumitra have know about surrogacy from her neighbor and it took her and her husband 3 month to make a decision.